These happened. I was looking for some way to combine NOLA spookiness with Halloween goodness, and voila! 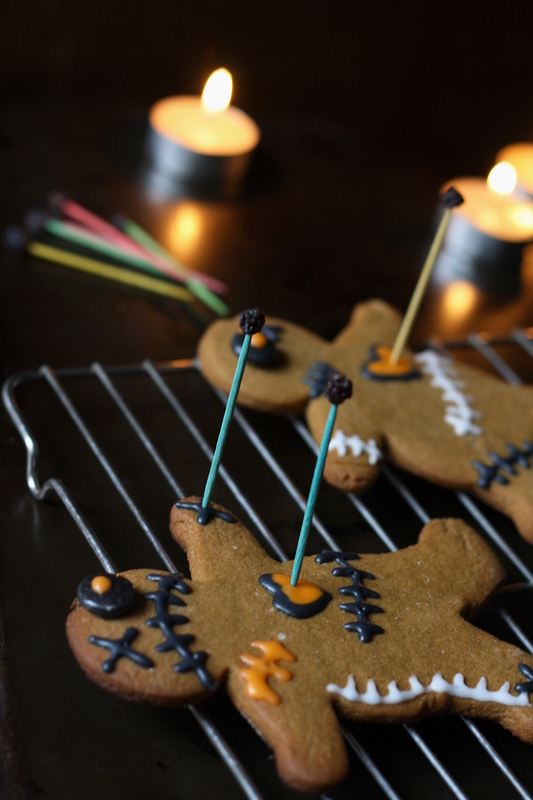 My Frankenstein cookie combination of gingerbread + Halloween was born. If you’re looking for a last minute, fun, and guaranteed major impact cookie, try these awesome Voodoo Cookies, up over at So Fawned!